Make Pelican Your Go-To for Detail Equipment! 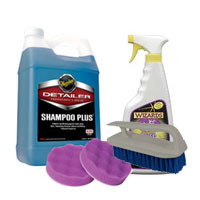 We are constantly adding new product and improving our car care catalog just for you. And now we have added a detailing equipment & supplies section to ease your detail shopping needs. If you’re looking for polishing pads, brushes, bottles, sponges or more you will want to check out this newly added section.